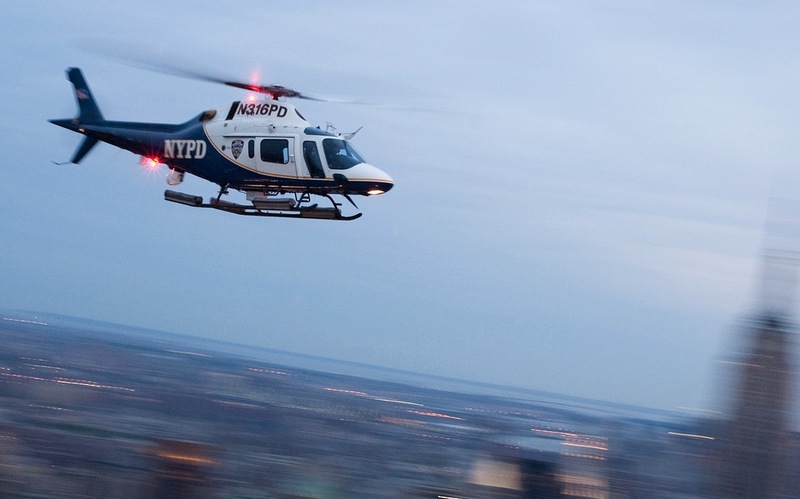 Can the NYPD Shoot Down a Plane? Kinda, Sorta, Not Exactly. Last night, New York Police Commissioner Ray Kelly made a startling claim: that the NYPD has “some means to take down a plane,” in the event of another terror attack. But don’t let your imagination run too wild: there’s no stealth jet emerging from 1 Police Plaza; there are no anti-aircraft missiles mounted on the top on the Williamsburg Bank. Kelly’s talking about a simple sniper rifle, which an NYPD helicopter crew could carry into the air, and target the engines of a plane. A small plane, I’m guessing. Under Kelly, the NYPD has had a decade-long history of, oh, let’s call it information operations, to go along with their substantive counterterror ops. This anti-aircraft talk is just the latest example. “A big part of security is psychological warfare,” added RAND specialist Brian Jenkins. The NYPD uses it to make New York appear look like an uninviting target, and to assure residents and tourists that they’ve got nothing to fear by being here. The gun is question here, I believe, is the Barret M82 or its successor, the M107. And it is a mean weapon, capable of punching through concrete and metal from a mile away. Military bomb squads will occasionally fire off a round to blow a detonator to bits. Coast Guard aviation units use the rifle to shoot out the engines of go-fast boats. So sure, the NYPD could, in theory, to take out a plane’s engine. If the President happens to be in town, so the helicopter crews have their .50 cals. If the plane is small enough. And if the NYPD sniper gets extremely lucky — hitting a target flying hundreds of miles per hour while firing from something an unstable as a copter would be one hell of a shot. (No wonder New York Mayor Michael Bloomberg said the NYPD’s anti-air arsenal couldn’t prevent a 9/11 repeat.) Realistically, the cops’ best bet to take down a plane is to pick up the phone, and call in the Air Force.